Six women honored after completing work readiness at the NWA center. 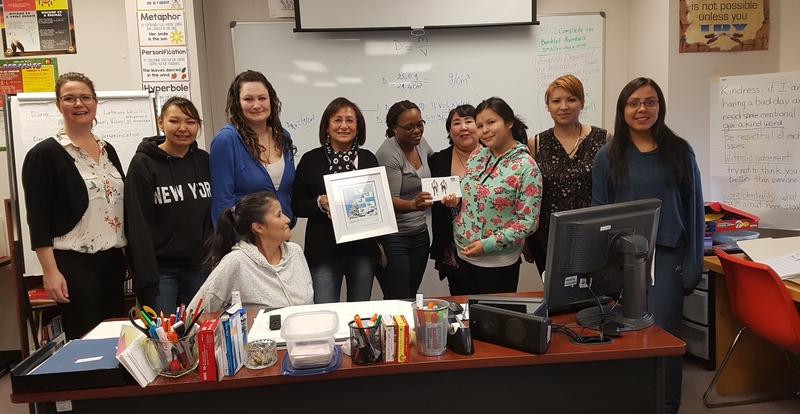 There were hugs, laughs and tears of joy as six women received certificates for completing employment-readiness training through the Native Women’s Association of the NWT. ‘What a happy day, I’m so proud of you and how your hard work paid off” said Cecelia Boyd. a Native Women’s Association Board member. The graduation ceremony took place over lunch at the Chateau Nova Hotel on June 20. She encouraged the women to meet life’s obstacles with the courage and strength they have within themselves. The women beamed as they accepted certificates for courses in science, computer literacy, English and math. Awards were handed out as well, for achievement in each discipline, attendance and for showing a depth of interest in culture, among others. The Native Women’s Association has been offering training to women for close to 40 years. The courses prepare students for employment and greater independence and are meant for NWT residents ages 19 and older. The training center can help students gain high school credit and upgrade their knowledge and skills so they can apply for post-secondary education and apprenticeship programs. 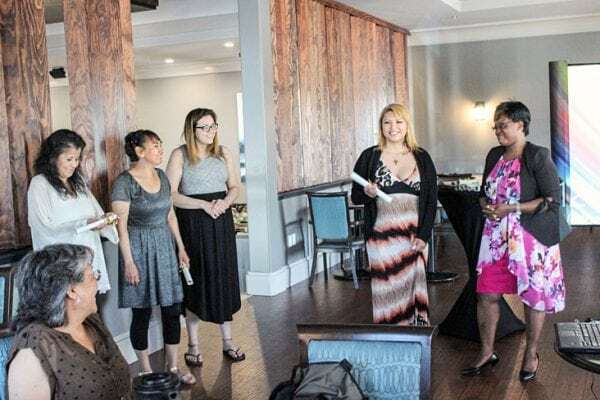 “Hopefully in a few years some of you will be teaching my kids” said a smiling Vanina Moukodi, an instructor with the training program, as she handed out certificates. Tracy Woods, a student, struggled to find words to express to express how she felt about completing the training program. “I feel…thankful that i kept going and I kept pushing myself,” she said, wiping tears from her eyes. After breaking her leg in three places, Woods had to take a two-month break from school because the Native Women’s Association does not have an elevator to its second story space above the post office on Franklin Avenue. “I wanted to go back and I couldn’t go back,” said Woods. Determined to graduate, Woods wrote all her exams even though she had less time to study-and she passed. The science course was especially challenging, said Woods, who at 45 remembered little from science class in high school. Fiionalynn Lockheartt is using what she learned at the training center to further her education. After working in a trade for the summer, Lockheartt will begin three semesters at the Northern Alberta Institute of technology. The Native Women’s Association ‘ taught me to believe in myself and believe that anything is possible,” said Lockheartt. Tatianna Rabesca was still nursing when she started the training program, and had her two-year old daughter Bella in tow during Wednesday’s ceremony. Rabesca said it was difficult at times, balancing course work with caring for a young child, but she set a schedule, stuck to it, and made it through. “I’m so happy and kind of sad as well, ” But more happy”.